In a residential Washington, D.C. neighborhood, a young woman’s body is found in the basement of an abandoned house—starved to death in a cage, along with the video footage of a dark and deadly ritual. The victim is identified as the daughter of a prominent D.C. politician, and it falls to the FBI to track down the unconscionable psychopath who murdered her. FBI special agent Sayer Altair would rather conduct research on criminality than catch actual criminals. 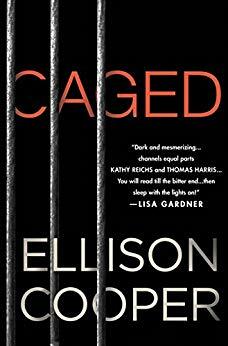 But when she’s offered a promotion hinging on her next assignment, she reluctantly accepts the “Cage Killer” case. Taunted by a photo of another victim at the mercy of this vicious killer, Sayer and her team are driven to put an end to these grisly homicides. During the investigation, clues emerge connecting the murders to Sayer’s past. 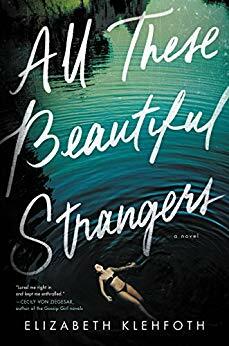 Now, the stakes are personal, and the deeper Sayer is drawn into the deadly web, the more she believes she is the only one who can uncover the killer’s identity. Ellison Cooper (E.C. ): A fierce FBI neuroscientist, cutting edge science, and ancient death rituals (plus a rescued dog). E.C. : “Buried,” the next book in the Sayer Altair series, is out in July of 2019. Sayer is called down to the mountains of Virginia’s Shenandoah National Park when an off-duty FBI agent and his cadaver dog fall into a sinkhole filled with human bones. E.C. : I wrote “Caged” while sitting in doctor’s office waiting rooms, horribly worried about my son’s health. As he slowly got better, I channeled all that fear and hope into my writing and I ended up writing a book about fierce people that fight to survive horrific experiences (whether that is being captured by a serial killer or simply losing someone you love). By focusing on survivor stories, I think my genuine emotion came through in “Caged.” So my advice would be to always write from the heart, even if it’s hard, and to trust your own unique voice. I believe that we all have something important to say! Suspense Magazine (S. MAG): Hollywood pitches are very brief. How would you pitch your book to the movies in ten words or less? Elizabeth Klehfoth (E.K. ): At boarding school, Charlie tries to solve her mother’s disappearance. E.K. : It’s a tremendous honor, and I couldn’t be more thrilled to be included. Writing can be such a solitary process, so it’s very rewarding to see readers are connecting with the book and responding so positively to it. E.K. : I really love Shirley Jackson’s “We Have Always Lived in the Castle.” I read the whole thing in one breathless sitting, and it had me on the edge of my seat the whole time as to what was going to happen. I loved the gothic atmosphere, and the relationship between the two sisters, and of course, the suspense and slow reveals. Such a fantastic book. 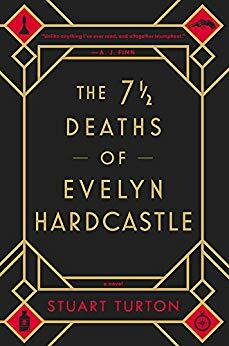 The Rules of Blackheath: Evelyn Hardcastle will be murdered at 11:00 p.m. There are eight days, and eight witnesses for you to inhabit. We will only let you escape once you tell us the name of the killer. Understood? Then let’s begin . . .
Stuart Turton (S.T. ): This book is unfilmable. Please stop trying! You’ll go mad. S.T. : I’ll be having a nice lie down. 2018 was HUGE. Normal service will resume in 2020. S.T. : “The God of Small Things” by Arundhati Roy is as close to perfect as a novel can be. Intricate, beautiful, ingeniously constructed, and built on an extraordinary love of words; how they sound and the ways they can be played with. I wish I’d written it, but that would leech the joy out of it for me. So, actually, not that. Something I’d never want to read again . . . the instruction manual for my car, maybe? Be the first to comment on "Best of 2018 “Debut Authors” Category"